Mediaspace Solutions has created a useful Google Maps mashup combining circulation and traffic data for newspapers in the top 200 US markets. 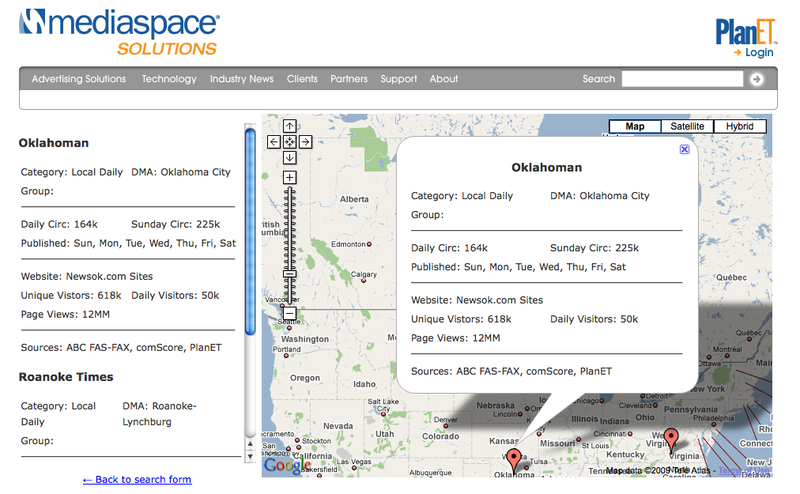 The Mediaspace Google Maps mashups provides each newspaper’s category, DMA, Circulation, Sunday Circulation, Days Published, Website address, Sites unique visitors, Daily visitors and Page views. 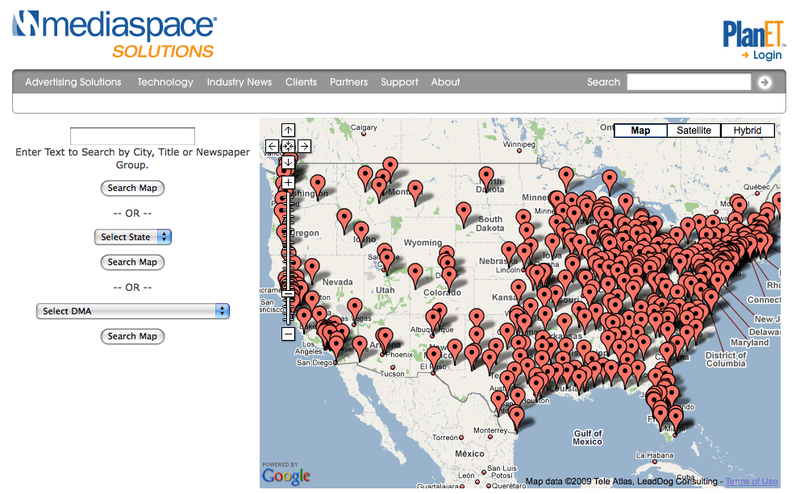 The Mediaspace Solutions top 200 DMA tool is great for researching and visualizing the top 200 US newspaper markets. According to Compete’s figures, Twitter’s traffic nearly doubled from February 2009 to March 2009 from 8 million to 14 million unique visitors. In a previous post, I had predicted Twitter’s traffic according to comScore would double from February 2009 to March 2009.
comScore’s March 2009 traffic figures for Twitter are due out later this week.